Vessel: The Karen Ann II built as the Starwood was the second last vessel built by John Lewis & Sons in the port of Aberdeen. 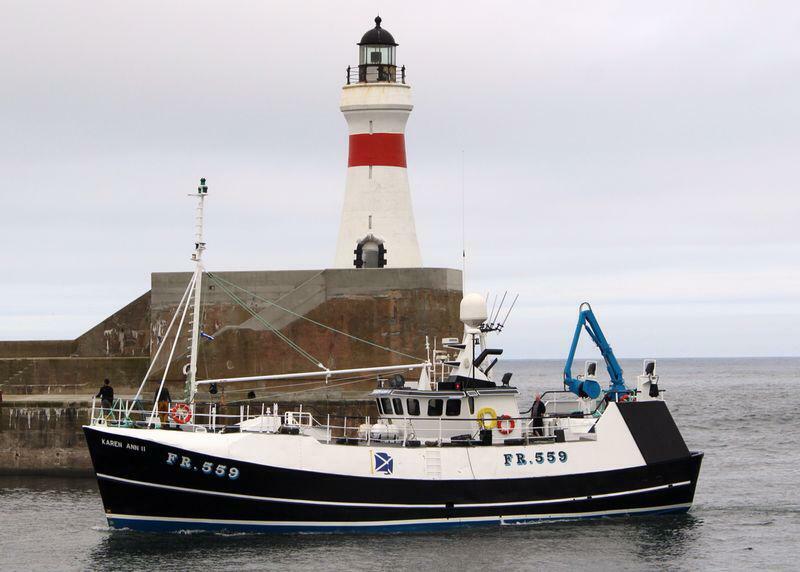 She has fished the North Sea since 1981 and was acquired by David McRobbie in 2002 to replace his first vessel the Karen Ann which he owned from 1996. The vessel is 24 metres in length, has a capacity of 600 boxes and has 6 crew members. It's about family... David’s son, Ryan, now skippers the vessel having taken over at the young age of 23 continuing the family tradition of fishing. 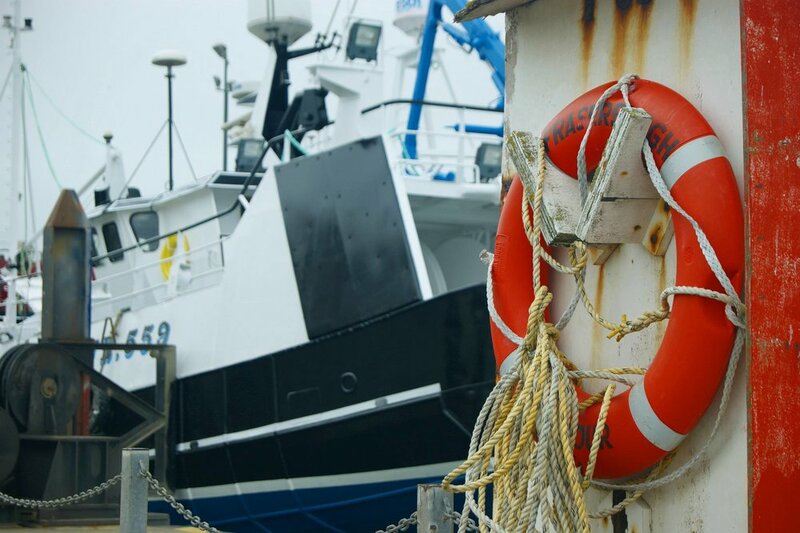 David’s family is steeped in fishing tradition with ancestral connections back as early as the 1600’s to fishermen in the Scottish fishing villages of Pennan, Gardenstown, Crovie, Cairnbulg, Inverallochy and Broadsea. The FR559 registration displayed on the vessel spans 4 generations, with the first FR559 vessel being built in 1913 in Banff as the “Troup Head” by David’s great grandfather. Did you know... David’s Great Great Grandfathers vessel, Laurel Crown, was impressed into the First World War as a minesweeper operating out of the Orkney Islands in Northern Scotland. This vessel was sank one week prior to the ill-fated voyage of the HMS Hampshire which was sank by a German mine 1.5 miles off the Orkney Islands. Lord Kitchener the British Secretary of State for War, depicted in the famous “Wants You” British army recruitment poster was on-board and drowned as a result of the explosion.